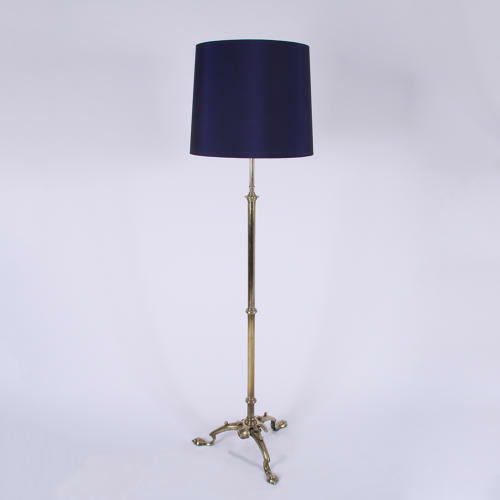 Heavy brass floor lamp with triform base. With bespoke handmade silk lampshade. Rewired and PAT tested.